Photographing our furry comrades is always a daunting task, no matter whether you’re a professional or an amateur. Their constant activity and seeming lack of focus makes them very hard to catch well on camera. Here are a few valuable tips how to take a perfect picture of your beloved pooch. Photographic camera makes lots of sudden sounds that may distract, interest or even frighten your pet. Before doing a real photo shoot get them acquainted with your bedazzling toy using treats. Give them treats while doing what you would usually be doing with the camera so they start associating all the clicking, wheezing, etc. with pleasurable things. That goes double if you intend to using a flash. You can capture great photos with your smartphone but if you’re really serious about snapping some amazing pictures you should invest in photographic equipment of higher quality. As most cameras today are digital it also means that your choice of software and the possibilities that it brings on the table concerning graphical editing and design will play an important part too. Nevertheless you can have the best equipment and software in the world and it won’t matter one bit if your dog is uncooperative, you miss the essence of their personality or don’t capture the context of their activity. Equipment makes a difference in overall visual quality of the pictures, especially when doing action photos but it’s all for naught if you don’t manage to show their spirit. Pets aren’t exactly known for their patience and long attention spans. In most cases they’re at their best when on the move so you should use that to your advantage. Action photos are visually exciting and eye-grabbing. For instance, catching them mid run with their ears and tongue flapping all around is priceless. If you’re not sure what I’m talking about take a peek at the amazing Underwater Dogs photo book by Seth Casteel. Don’t be disappointed if you don’t get it right on the first try. It isn’t as easy as it looks and there’s a lot of things that can go wrong. You have to have good background, your camera ready and set, the dog motivated and willing, the lighting just right, great reflexes and lots of luck. You can modify many of these things later using software but you still have to have a quality product that you can polish and correct. Ask somebody to assist you. Handling your equipment and your pet are difficult tasks on their own, and combined make for a real challenge. 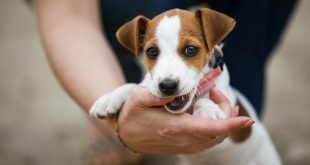 Your pet’s safety must always come first and taking care that they don’t run into traffic or get into some other trouble is much easier if you divide your responsibilities. You should be able to concentrate on your work and explain to your helper what you would like to catch with your camera. The trick is to make the photo shoot a fun time for everybody involved, especially our four legged friends – if they think of it as a game they’ll be much more willing to participate. Make sure that you have lots of treats and interesting toys at hand to get their attention and reward them for their good behavior. They’ll often follow the treat intently with their eyes, use that to your advantage – position them better using a tasty lure. Due to their endless energy portraits, like those found in the wonderful The Dogist: Photographic Encounters with 1,000 Dogs, are very hard to do. If you want to try it out it’ll be a good opportunity to put your obedience training and your assistant to the test. In any case i recommend that you consult the excellent in depth guide Pet Photography: The Secrets to Creating Authentic Pet Portraits. 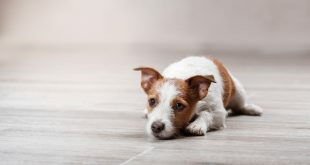 You’ll learn everything you need to get a strong image and beautifully capture the personality of your pet – it even deals with our other four legged friends like horses and cats. Really great photographs will capture the essence of what makes your dog so special and unique. That means catching them in their element. For instance I prefer to photo Kala during our hikes, daily walks and in general while she’s having a blast outdoors because she looks incredibly happy. I believe that nature brings out something special in her, some kind of a spark that is there only in those moments, and you can really see it on the photos no matter the kind of equipment I’m using. On the other hand if your trusty companion is more of a couch potato then you should consider catching them during their naps or doing some kind of cute indoor activity. Think about what, when and where your pooch feels most happy and comfortable and you’ll find the best place for that special photo op. In any case the main trick is to get down to their eye level (or slightly below it). The photograph should always be from their perspective – that way you’ll get an interesting photograph that showcases how they see the world and will pull the viewer into the action. From a technical standpoint it’s best to photograph your pooch in natural light. That means outdoors on sunlight. The best time of day is in the afternoon or in the morning when the sun isn’t as high in the sky and the light is soft. That way shadows, colors and textures that you get will be more pleasing to the eye. The problem with doing a photo shoot indoors is above all the lighting. You’ll almost certainly have to set up some additional artificial light and, more often than not, that can be an elaborate and complicated procedure if you want it to look good. 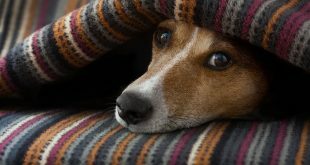 Flash will often startle your dog, especially when directed right in their face. Additionally it will more often than not result in some unflattering photographs. Not only will u loose that special glimmer in their eye but their fur won’t look as nice either. If using a flash is unavoidable redirect it from your pet to the ceiling or some other surface that will reflect the light at them without as much intensity. It will also make the pictures look more natural and will soften the shadows that you’d otherwise get. The trick of the trade is to be fearless. 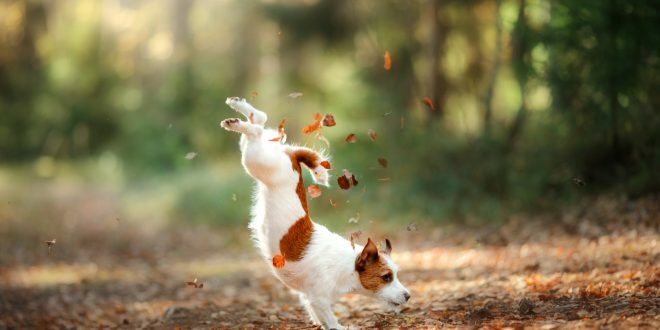 Try different things with your camera and with your tail wagging buddy. Experiment with different setups, backgrounds, lighting, movement, etc. Luckily, you don’t have to find everything the hard way. There’s a lot of excellent guides and manuals out there like the Dog Photography For Dummies for absolute beginners and a comprehensive Pet Photography: From Snapshots to Great Shots. If you’re a professional photographer, or you strive to be on look no further than the Beautiful Beasties: A Creative Guide to Modern Pet Photography for important tips and advice on how to handle your business and your subjects. We’d like to hear your thoughts, comments, experiences, tips and suggestions concerning pet photography in the comments below. Thanks a lot for making such a vid it was very very helpful as I also have a dog and those were really good tips for dog photography﻿.Thanks again. One of my favourite breed. The name implies really fit with him. So adorable! Hi Lisa, they are the best, big dogs in small bodies with such a great character and so cute. I love them!